Report: Shin Bet chief Bet warned former PM of Iranian attempts to harm him and other senior Israeli officials while abroad. Israel Security Agency (Shin Bet) Director Nadav Argaman last week held an unusual meeting with former Prime Minister Ehud Barak, Hadashot TV reported on Monday. 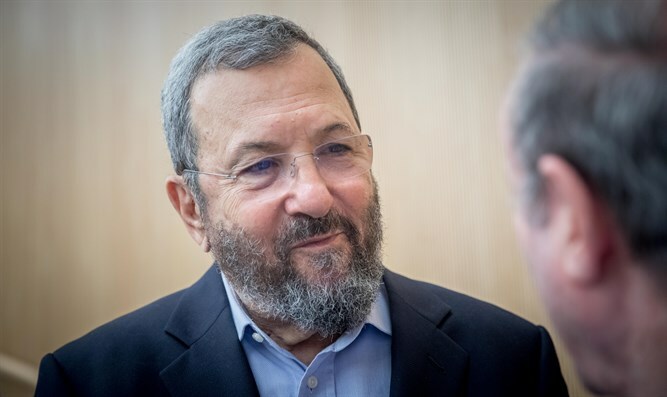 According to the report, the two met privately in the tower in which Barak resides in Tel Aviv, and during the meeting, Argaman told Barak that there were Iranian attempts to harm him and other senior Israeli officials. Over the past few months Barak has not had personal security detail, and sometimes he only carries his personal gun. On Monday night, Barak was seen carrying a gun in his belt, and it is possible that the reason for this is the threats that the Shin Bet chief had informed him about.